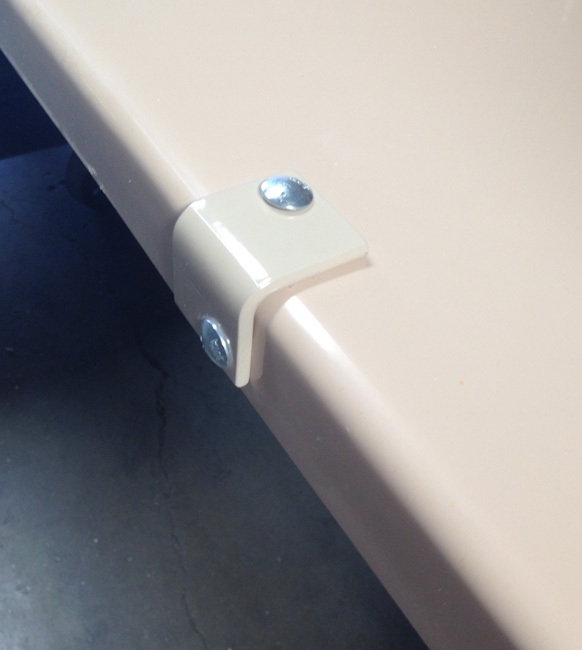 Made of 1/4″ thick steel angle and equipped with tamper-proof hardware, our Skateboard Stoppers are the perfect vandal deterrent for both tables and benches. Stoppers are standard Beige or Royal Blue powder coated finish, however, any color is available at a slight upcharge. Stoppers ship 2 to a carton.